Nerve Injuries/Pain & EMG/NCS - Toms River, NJ: The Center for Orthopedics and Sports Medicine, P.A. The spinal cord is the main part of the body's central nervous system that conveys signals from the brain to the nerves throughout the body. Nerves coming from and leading to all parts of the body enter and exit the spinal cord along its entire length. Nerves are part of the "electrical wiring" system that carries messages between the brain and the rest of the body. Motor nerves carry messages between the brain and muscles to make the body move. Sensory nerves carry messages between the brain and different parts of the body to signal pain, pressure, and temperature. These nerves control the involuntary or partially voluntary activities of your body, including heart rate, blood pressure, digestion, and temperature regulation. 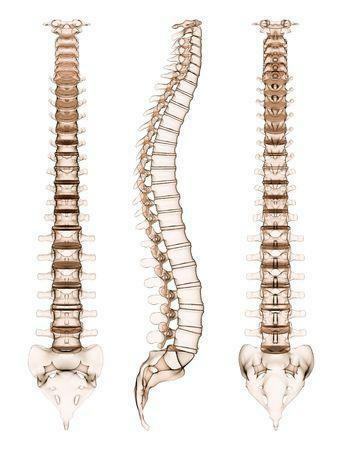 These nerves control your movements and actions by passing information from your brain and spinal cord to your muscles. These nerves relay information from your skin and muscles back to your spinal cord and brain. The information is then processed to let you feel pain and other sensations. Nerves are fragile and can be damaged by pressure, stretching, or cutting. Injury to a nerve can stop signals to and from the brain, causing muscles not to work properly, and a loss of feeling in the injured area. Nerve pain and nerve damage can be mild. But, because nerves are essential to all you do, nerve pain and damage can seriously affect your quality of life. 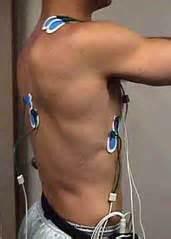 EMG/NCS is an electrical test of your nerves and muscles. The purpose of the test is to localize where your symptoms are coming from. That can be pain, any kind of numbness and tingling, and/or weakness and the test is also good at assessing the severity of your symptoms. Typically, an EMG/nerve conduction studies are ordered when a patient is having some type of nerve symptom. That can be in one, two, or three ways. Either they can have pain, they can have some type of numbness and tingling (it can be a burning sensation), and/or it can be any type of weakness where you are actually feeling a change in your muscle strength. So, for those three reasons: pain, any kind of change in sensation (numbness/tingling), and for any kind of change in muscle strength usually is when we order the EMG. The results of the EMG and the nerve conduction study then also guide us more specifically to what type of treatment you should have, typically at your next visit.